Ms. Manset has extensive experience in private and nonprofit business and commercial lending, including loan production and analysis and deposit acquisition, and business development. She has also taught global business management, managerial accounting, small business management and strategic business planning at UCSB Extension and Santa Barbara City College. Ms. Manset received a Masters of Business Administration from Drake University and obtained her B.A. in Economics and History from UCLA. 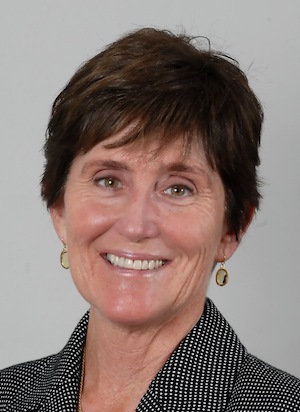 She serves as a current Board Member and Immediate Past President of the Santa Barbara Athletic Round Table and is a member of the Santa Barbara Special Olympics Leadership Council and the UCLA Alumni Scholarship Committee. The Housing Trust Fund of Santa Barbara County is a private nonprofit countywide funding agency that is forging innovative private/public financial partnerships to support local workforce and affordable housing. The agency supports affordable rental and homeownership housing production and operates a new Workforce Homebuyer Down Payment Loan Program. More information about the Housing Trust Fund is available at www.sbhousingtrust.org.